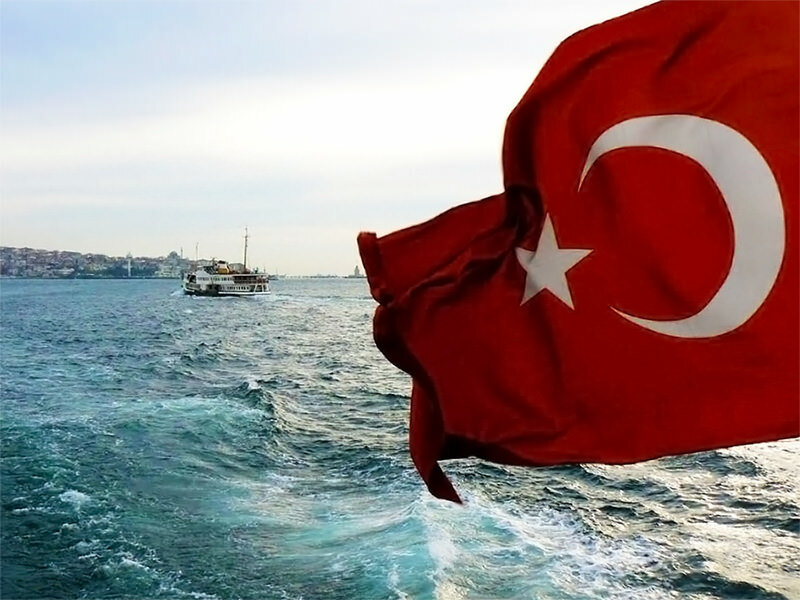 The 91st anniversary of the proclamation of the Republic of Turkey will be commemorated in official ceremonies and celebrations on Wednesday, although cold and rainy weather conditions will likely to affect the enthusiasm during this year's celebrations. Official ceremonies will be centered at the capital, Ankara, where the Republic was declared on Oct. 29, 1923. Turkish state protocol, headed by President Recep Tayyip Erdoğan, will attend the ceremony at Anıtkabir, mausoleum of Mustafa Kemal Atatürk who was the founder and the first president of the Republic. 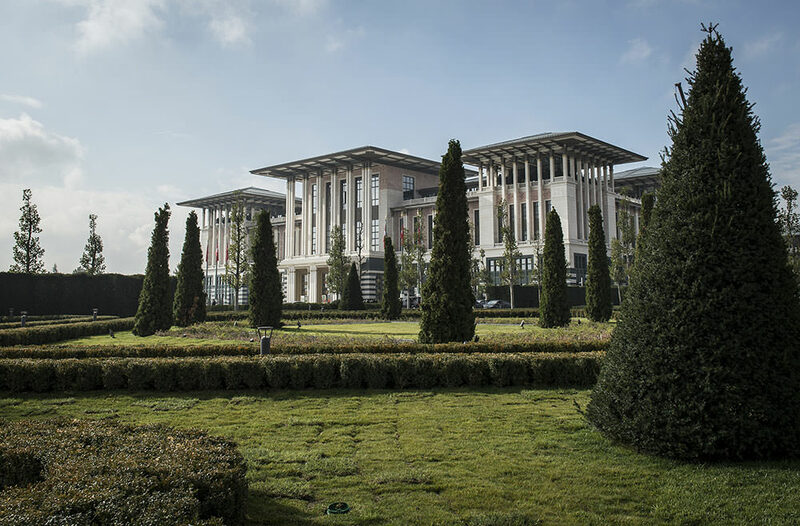 For the first time, the Oct. 29 ceremony and the reception held by the president will be held outside the Çankaya Presidential Palace and instead will be hosted at the newly built Presidential Palace in Beştepe, Ankara. President Erdoğan will accept congratulations from Turkish and foreign guests following the commemoration at Anıtkabir. The official program will continue with the military parade held in Atatürk Cultural Center. Photos of the newly built Presidential Palace were released today. President Erdoğan will host the October 29 reception for the first time during his presidency term and greet prominent Turkish politicians, bureaucrats, artists, scientists, business figures as well as foreign diplomats. Opposition parties are not likely to attend the ceremony or the reception as a sign of protesting the location of the event. Official ceremonies will also be held in province and district centers, attended both by local politicians and bureaucrats. Vatan Avenue in Istanbul's Fatih district will be the location for official ceremony and military parade in Istanbul. 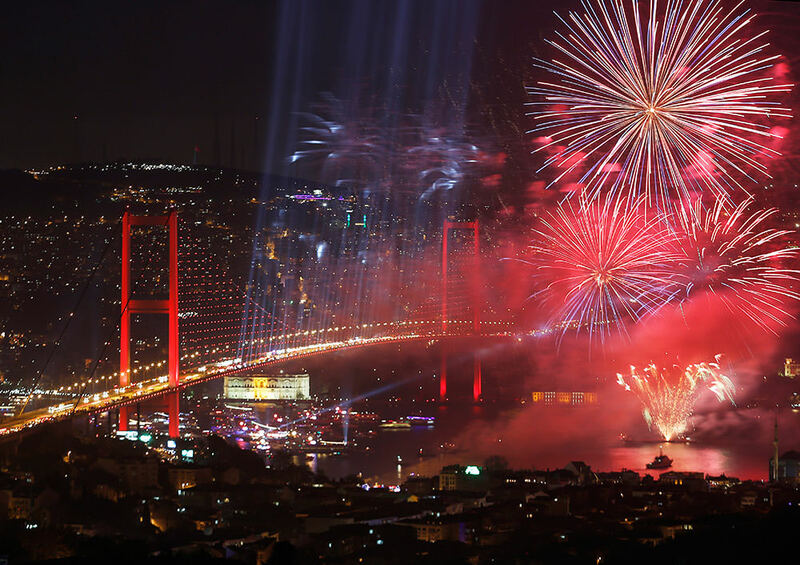 Istanbul is expected to steal the spotlight with its popular celebration as it will host the massive light and firework show held by the Istanbul Metropolitan Municipality over the Bosporus between the Bosporus Bridge and the Maiden's Tower. Centered in Ortaköy Square, the demonstration can be spectated from various locations accompanied by famous Turkish composer Fahir Atakoğlu's piece that will be broadcasted from sound systems. The program will begin at 7:00 p.m. with the fireworks demonstration will begin at 7:30 p.m. Organized by Beşiktaş Municipality on İstanbul's European side, the torchlight parade will begin at 7:00 p.m. from Balmumcu Square on Barbaros Avenue ending at Beşiktaş Barbaros Square. On Istanbul's Asian side, Kadıköy's upscale Bağdat Avenue will host its traditional Republic March organized by Kadıköy Municipality, starting from Suadiye at 7:00 p.m. followed by a public concert by Ferhat Göçer in Caddebostan at 9:30 p.m. Marches and public concerts will also be held in several other cities, notably in Ankara, İzmir, Antalya and Bursa.